History! After beating Ohio State, UH now has 33 wins for the season. 33 wins is a school record for the Cougars. It’s also the most wins in the country this season. 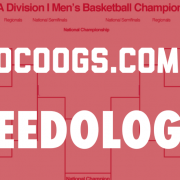 The Coogs now have 10 wins against teams that made the tournament and are 2-0 vs. Sweet 16 teams. BIG margins: Five teams advanced to the Sweet 16 with two wins of 15 points or more (Oregon UNC, Michigan, Texas Tech, and Houston). Of the 5, UH’s combined winning margin of 44 points was the largest of the group. Of all Sweet 16 teams, only Gonzaga’s total margin in the first two rounds (50) was higher. BIG wins: Before Sunday, the Coogs had won back-to-back games in the tournament by 10 or more just once (1968) in our history. 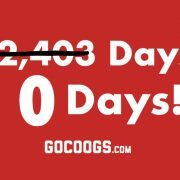 That season, the Coogs beat Loyola (by 18), Louisville (16), and TCU (35). Thanks, Tulsa! The Cougars have now played 5 NCAA Tournament games in Tulsa, going 4-1 overall. UH went 3-0 in Tulsa this season – the closest game coming against the hometown Hurricane (77-65) in January. Sweeeeeeeet – The Sweet 16 game vs. Kentucky will be UH’s first NCAA Tournament game in Kansas City since 1983. 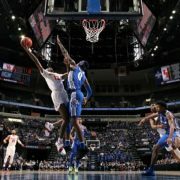 That year, Phi Slama Jama played the second weekend at Kemper Arena, beating 4th-seed Memphis State and third-seed Villanova to advance to the Final Four. Sunflower Power: UH has played 18 NCAA Tournament games in the state of Kansas or in Kansas City, Missouri (site of the Sweet 16). Eight of those games have been in Lawrence with 6 more in Wichita. 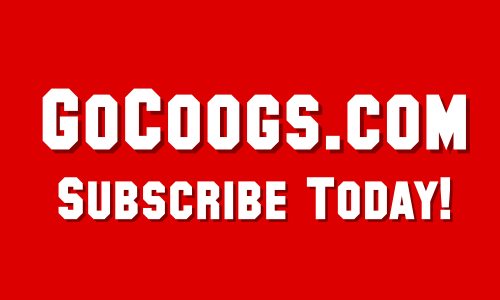 UH in the Sweet 16 – UH is 5-5 in Sweet 16 appearances with the 5 wins coming in each of the Cougars’ 5 Final Four seasons (1967, 68, 82, 83, 84). 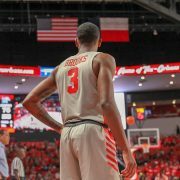 UH makes Sweet 16 appearances in bunches: the Coogs made three-straight in the early 80s, back-to-back appearances in 1970-71 and four-straight from 1965-1968. Good news for the coming years. Onto Kentucky: UH is 1-3 all-time vs. Kentucky but won the last meeting at Hofheinz in 2007. Two of the three losses to the Cats have been by 7 points.